As we’ve told you on many prior occasions, 16′ is the typical width for a new construction home. From time to time, you’ll see wider homes, in the 17′ to 20′ range, in high end projects in desirable neighborhoods. 15′ of width still works for a new home, 14′ starts to feel like a squeeze, and 12′ is the absolute minimum width for a new home. But the tight quarters in a 12′ home tend to reduce the sale price pretty significantly. 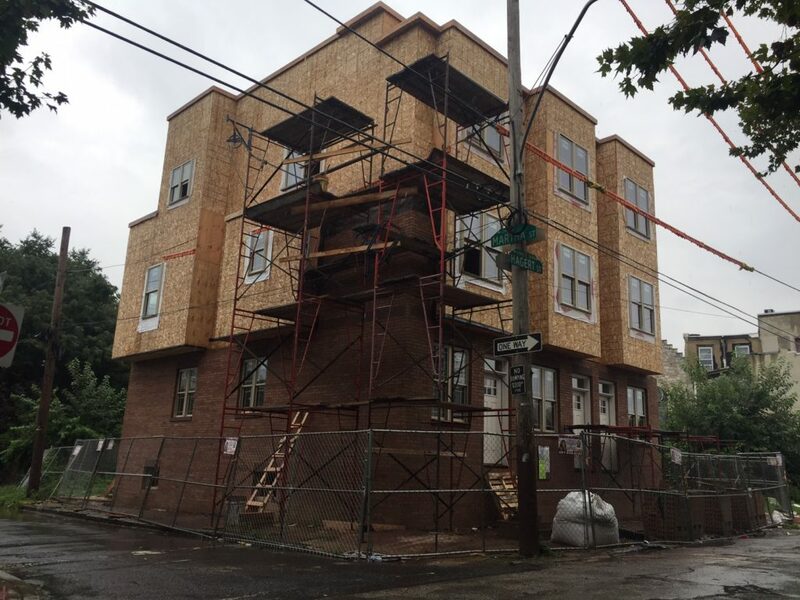 In East Kensington, where ultra-skinny lots are the norm, we’ve seen numerous 12′ homes get built over the last several years, and buyers seemingly haven’t been getting scared away. One of the first such projects we covered went up in 2013 on the 2100 block of Hagert Street. Those homes sold in the mid-$250K range, maybe a 30% discount from what they would have sold for if they were of typical width. We were in the neighborhood the other day and noticed that three more homes are now under construction on this block, also on 12′ lots. 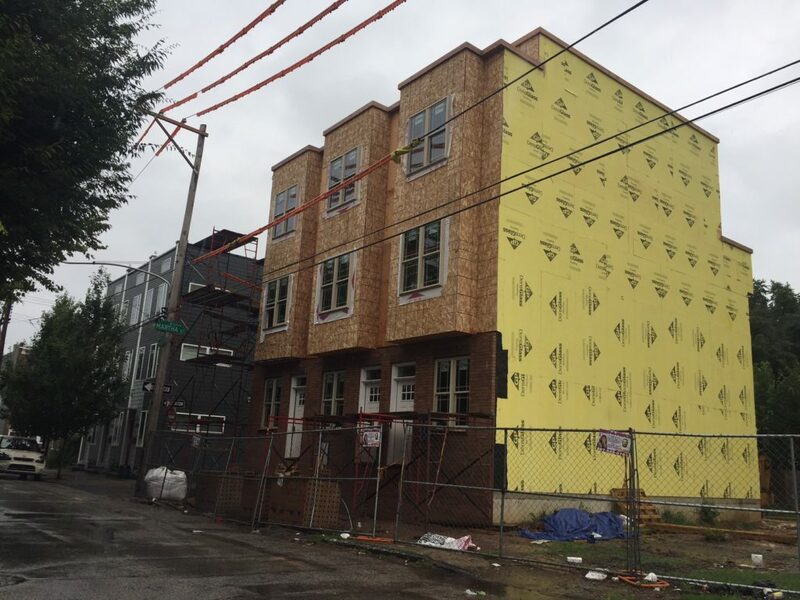 These lots, along with three more vacant lots next door, are owned by the same developer and we would think they will follow this phase of construction with three more homes. We do wonder whether it might have made more sense to combine the six lots into five and build more typical homes, but they surely ran the numbers and made the decision they deemed most beneficial, financially. 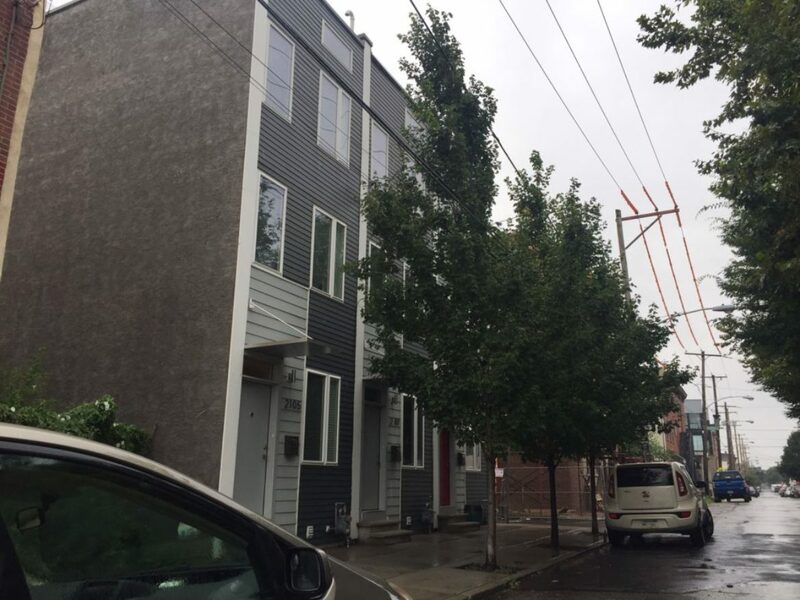 As we mentioned, the project next door was built in 2013 and those homes sold in the mid-$250K range. We wonder, in a fairly apples to apples comparison, what kind of change we will see in terms of sale price for the project currently under construction. Based on sale prices of some similarly skinny homes in other parts of the neighborhood, sale prices in the mid-$350K range seems like an easy target, with the possibility that the corner will sneak up close to $400K. That’s quite a change in less than five years; we’re not sure too many other neighborhoods have seen this kind of appreciation in such a short period of time.